A green lizard with woodcut shading isolated on white background. 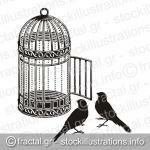 Metallic bird cage with open door and two bird silhouettes. 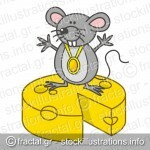 Mouse businessman cartoon points yellow cheese on a board. Mouse champion cartoon with medal standing on yellow cheese. 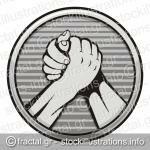 Two hands icon in arm wrestling, gray round medal isolated on white background. 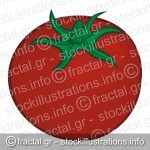 Red ripe tomato icon with woodcut shading isolated on white background. 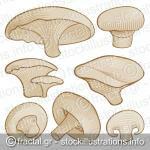 Beige mushroom icons with woodcut shading isolated on white background. A branch of coffea tree isolated on white background. 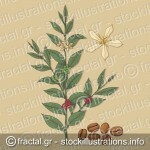 A branch of coffee tree with flower and beans on beige background.